We live in culture that is dominated by the love of SUVs. This makes sports cars, family sedans and economy cars stand out in the crowd. Among these types of cars, sports cars stand out above the rest in terms of their selling point due to a number of reasons. Finding sports cars for sale in your area is easy when you choose our Pfaff BMW dealership in Mississauga. Our inventory is loaded with new and pre-owned sports cars that are waiting or you to take out for a test drive. 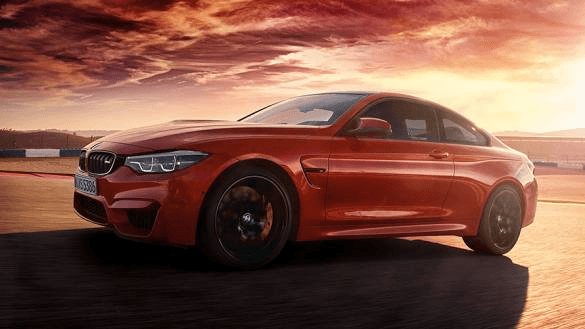 In this article by Pfaff BMW, we will be talking about some of the advantages that you can experience when purchase a sports car. Read on for more information. BMW sports cars are primarily created for performance compared to other types of vehicles that are created with function and affordability in mind. When you compare the driving experience of a BMW sports car with that of “normal” cars, sports cars are more superior. BMW sports cars are able to hug turns, accelerate faster, and offer a level of driving control that you will not find in larger vehicles. There are no other options or alternatives to a true sports car if you are concerned with the quality of your driving experience. High performance cars are designed to challenge even the most discriminating drivers in mind and easily trump the performance of other types of vehicles. While appearance might not be the main reason behind looking for sports cars for sale, however these days, looking at our highways, your eyes will be confronted with cars that are mundane and repetitive looking, making a discriminating buyer go for a beautifully designed sports car. Even though function is important, there is still room to search for cars that are more aesthetically pleasing. A lot of people spend a huge amount of time in their cars, and those that spend that time in sleekly designed cars find the sleek lines a welcome relief from the normal wheels we see on the roads on our highways and streets. Our BMW M line of vehicles is sure to plaster a smile on your face everytime you get behind the wheel. Driving a BMW sports car is meant to be a fun experience. All cars say something about their owners. For instance, a driver that loves to blend in with the crowd will oftentimes drive a car that blends in well with traffic. There are those people that yearn to take hold of every opportunity to express their individuality. BMW sports cars give the owner an advantage and opportunity to distinguish themselves from among crowd. If you are looking for sports cars for sale in the Mississauga area, we encourage you to consider our Pfaff BMW dealership today. For more information about our selection of sports cars, please feel free to continue browsing through our website. Click here to find our contact information, schedule a test drive, and to fill out our contact form.